We’re happy we are currently finalising our arrangements for this year’s ANZAC Day Service, including our traditional march and ceremony. This was a last minute decision to hold the event as there have been some challenges but all has worked out and we are pleased that we can share this event again in Yandina. 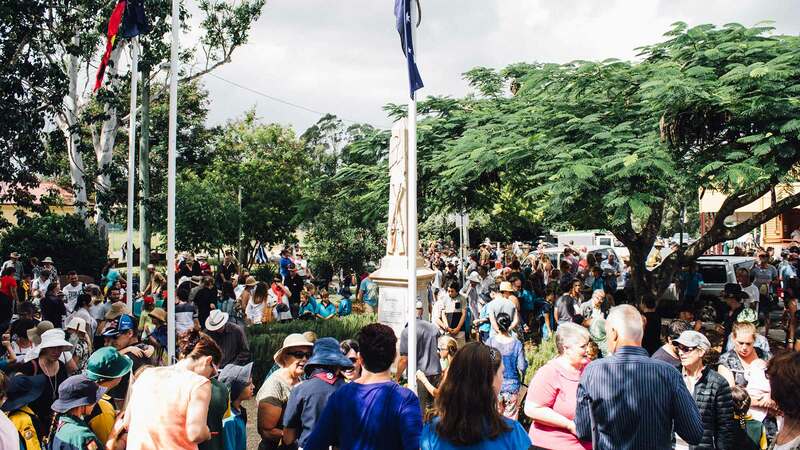 We’ve put a huge load of work in to try and improve on last year’s ceremony, with 2018 being the Yandina-Eumundi RSL’s 80th birthday in our community. This will be a great day and one that our members and attendees will be proud to be paying respects on. It is wonderful to see young and old joining the march and enjoying the ceremony. Music is going to be more low key than last year’s ceremony, but we will still enjoy the hymns and our national anthems together as a community. We will also be joined by Sunshine Coast Caledonian Pipes and Drums, who are generously volunteering their time to our service to make the March more memorable, as well as provide the lament. Victor Flatt has volunteered his bugle to our ceremony which is always special for us. Our local youth from Yandina and North Arm State School and The Yandina Scout will be sharing their Anzac Day tributes. Whilst the cadets from 128 ACU will support the ceremony. We’d also like to publicly thank our local Men’s Shed, who are giving us their time to support us with setting up on the day. We hope to have printed copies of the programs will be available on the day. And of course, all who have attended to pay respects to all our current and ex-service men and women. The RSL will be hosting lunch at our hall at 24 North Street Yandina at a nominal fee for all who wish to join us. We would appreciate advance for catering purposes where possible. Please contact our Citizens Auxillary for details or special requests. If you feel like a game of two-up the Yandina Hotel will be hosting this will profits and donations being used to support our local sub-branch. It is unlikely that printed programs will be available this year and you are encouraged to download this copy if a program is required. If you require any further details please contact us, although this is a very busy time, and we appreciate your patience.